Reece McLaren might get his shot at Adriano Moraes and the ONE Flyweight World Championship after all. At ONE: Visions of Victory, Reece McLaren relied on his expert grappling ability to submit Gianni Subba 3:12 into the second round. He now looks to be the next in line for a shot at Moraes, in what was the originally scheduled matchup for this event. 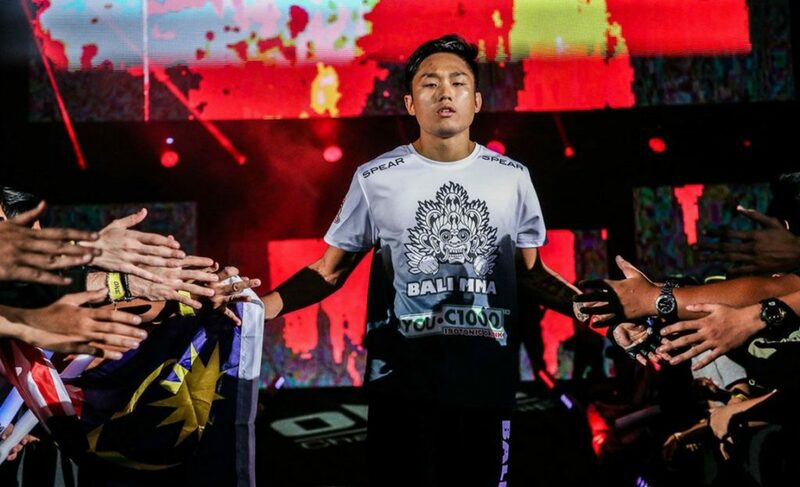 After previously experiencing being locked in a cage for five rounds with Bibiano Fernandes in a battle for the ONE Bantamweight World Championship, McLaren’s first time featuring in a ONE Championship main event wasn’t going to bring any pressure he hadn’t felt before. It was maybe for this reason that McLaren seemed the more eager of the two athletes to implement his game plan early. 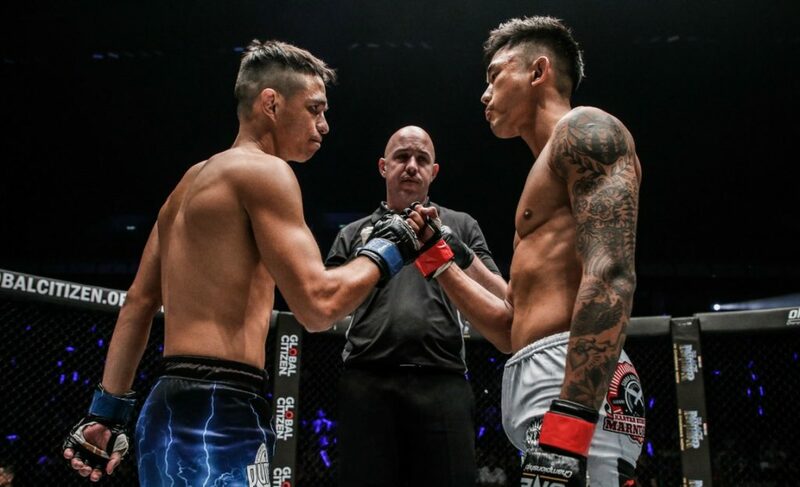 Whereas Subba began reaching out with his lead hand in an attempt to gather information about McLaren’s movements and distance, it was McLaren who pushed the action to the cage as he tried to get this fight to the canvas. After Subba remained strong and didn’t budge after McLaren’s initial forward rush, the two engaged in clinch warfare. Mostly, though, it was a battle of position, as each fighter repeatedly turned their opponent to the cage by using their underhook. 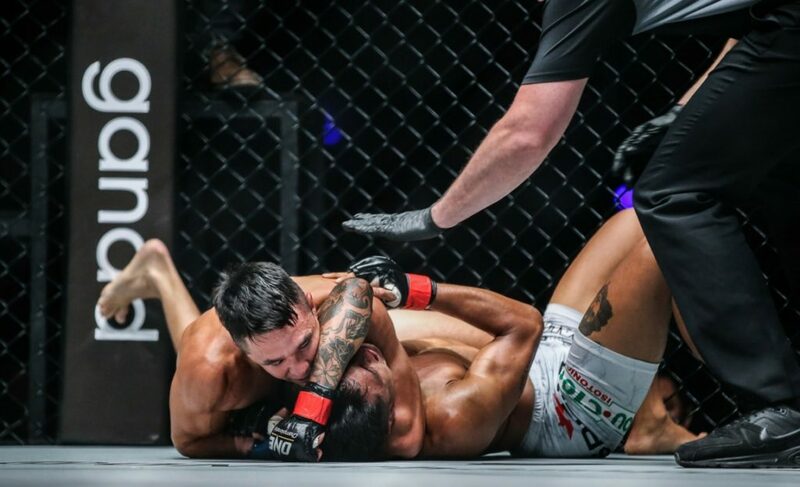 After a stagnant period against the cage, Subba created enough separation to connect with a left elbow before escaping the clinch of McLaren. At striking range again, this is when Subba should have done some of his best work. Subba’s best chance of winning this contest was always going to be while standing with McLaren. 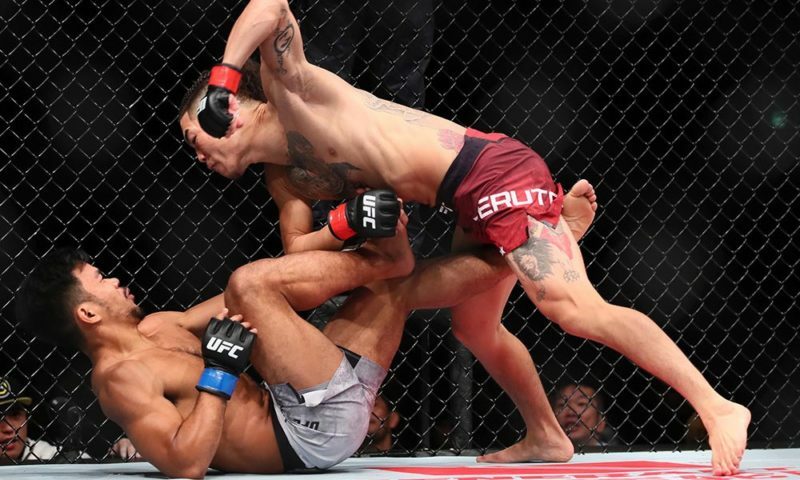 If he could replicate Kevin Belingon’s brilliant knockout punch from August last year, he might have been able to put an end to McLaren’s night early. 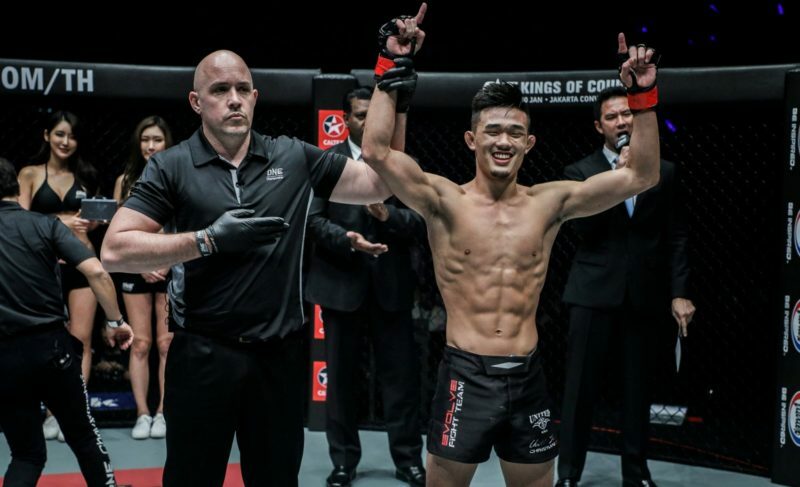 However, whether or not it was due to the constant threat of a McLaren takedown, Subba employed a rather hesitant approach to his striking through the first round. The one time he did open up with his strikes, he connected with a right hand to McLaren’s chin at the end of a four-punch combination. 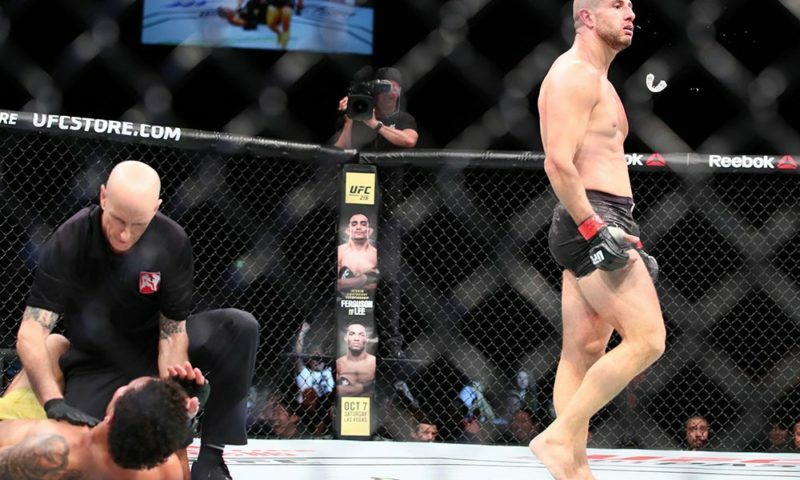 The punch might have woken up McLaren to the idea of getting this fight to the mat – much like the kick from Anatpong Bunrad in his prior bout – and he immediately shot in with another takedown attempt. McLaren’s go-to takedown attempt in his last two bouts has been the knee tap takedown. He tried this against Bunrad early in their contest, and then tried this on several occasions against Subba, as well. Despite what seemed like not enough penetration on the takedown attempt, McLaren was able to secure a grip on Subba’s lead leg before taking him down to the mat in the first round. The Australian showcased grappling ability by sliding right into a heavy full mount just after finishing the takedown. McLaren rained down some elbows and various other strikes before transitioning into a choke attempt. However, his work on the mat would be limited by the clock and the first round came to an end not long after McLaren had secured top position. The minutes leading up to McLaren’s eventual arm-triangle choke were actually some of Subba’s best moments. Now more relaxed and composed in his first-ever main event contest, Subba came out and started to draw from his extensive range of creative strikes. The most successful of Subba’s techniques was the calf kick to the lead leg. 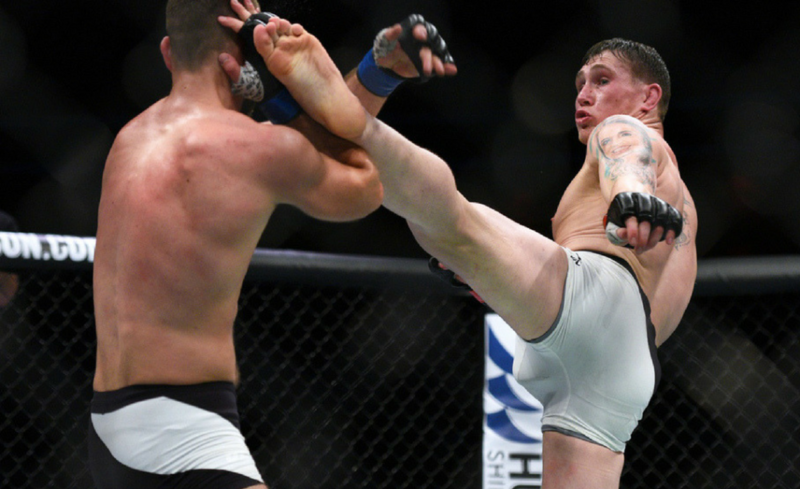 In particular, he kept finding a home for this kick when McLaren was in the southpaw stance. After experiencing tremendous success on the canvas late in the first round, it was time for McLaren to get this fight right back to where he wanted it. He lunged in with another knee tap takedown, but this time Subba was ready for the attempt and stuffed it instantly. While it didn’t seem significant at the time, it was this takedown attempt that proved to be a crucial aspect of the contest. Not long after this stuffed takedown attempt, McLaren changed his technique and instead shot in for a double-leg attempt. With a secure grip on the lead leg – and just enough of the rear leg – McLaren executed the takedown perfectly before again landing in full mount. 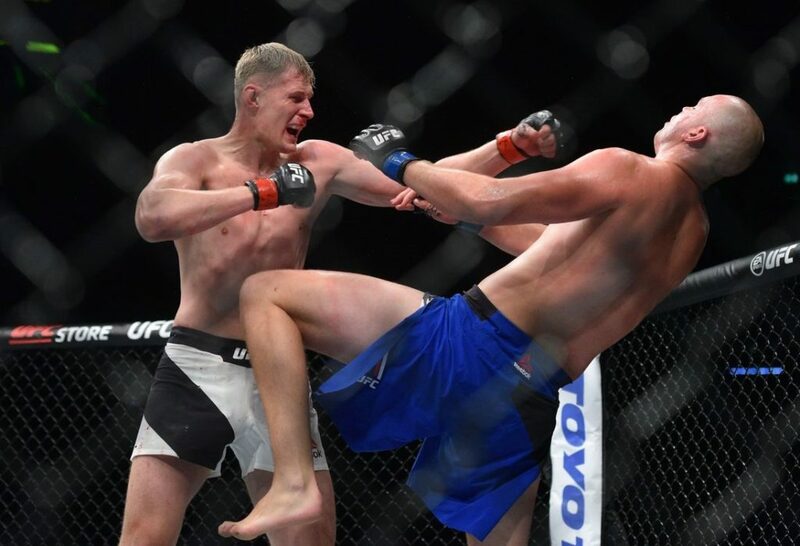 The change of takedown technique helped McLaren move this contest to where Subba was clearly uncomfortable. Despite control of Subba’s head with his left arm, and his head placed on the right side of Subba’s body, McLaren wasn’t yet in a position to finish the arm-triangle choke. So, the Australian used his head as a driving force to lift Subba’s arm up and over his body so that he could then be in a position to finish the arm-triangle. From here, all McLaren had to do was squeeze. With this victory, Reece McLaren moves to 11-5 with his fourth victory in ONE Championship. 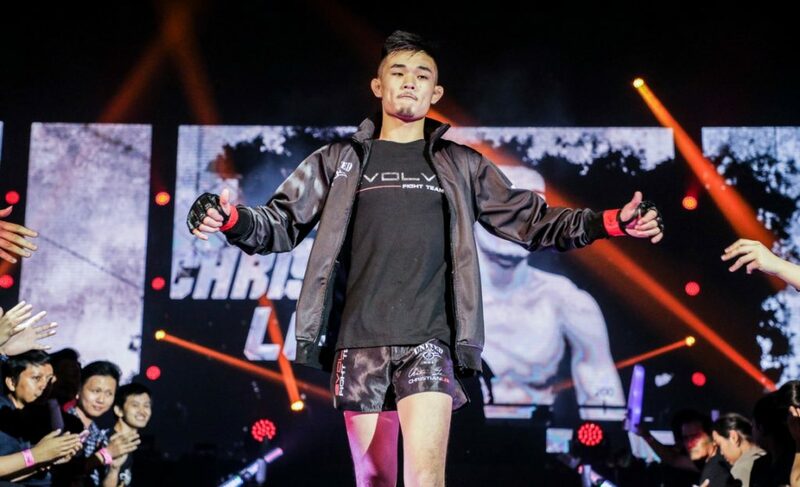 Gianni Subba will be forced to reclimb the flyweight ladder after falling to 9-3. 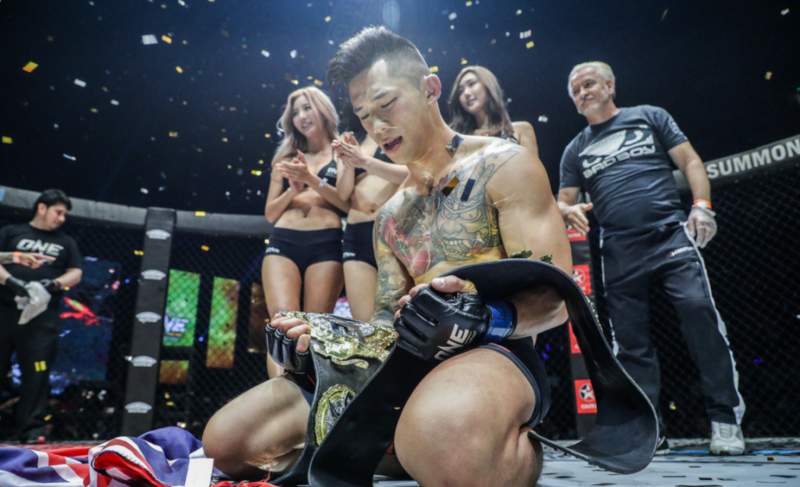 What’s going on with ONE Championship’s flyweight division?